Tata Motors' manufacturing facility at Sanand was in news for the wrong reasons. Last week, the workforce at the plant decided to boycott the canteen services. This was being done to protest against the lower wages. In addition, the force decided to skip food completely and continue working to demand a raise in the wages. However, the situation has been brought into control. Tata Motors has signed a long-term wage settlement (LTS) with Tata Motors Sanand Union. The settlement has been signed for five years from October 2015 to September 2020. According to the LTS, a total wage package of Rs 16,000 has been uniformly distributed across five years. The company will be paying the pending amount from 2015 to 2017 together, whereas the remaining amount will be paid accordingly. Tata Motors has also introduced a performance-linked payment, which is accounted for 10 per cent of total salary and will be linked to productivity, quality and safety. Tata Motors claims that the initiative has been received well by the workmen. "We have strived to resolve the LTS issue and today are delighted to have resolved the matter for a long term, ensuring our business operations' competitiveness on one hand and taking care of the well-being of our shop-floor colleagues on the other. 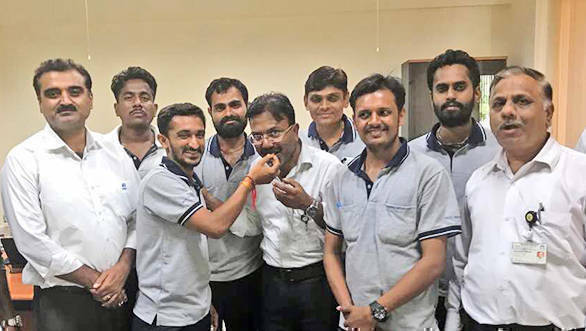 The Union which has been recently formed, is very supportive in ensuring workmen derive maximum benefits through this wage settlement," said Gajendra Chandel, chief human resource officer, Tata Motors.